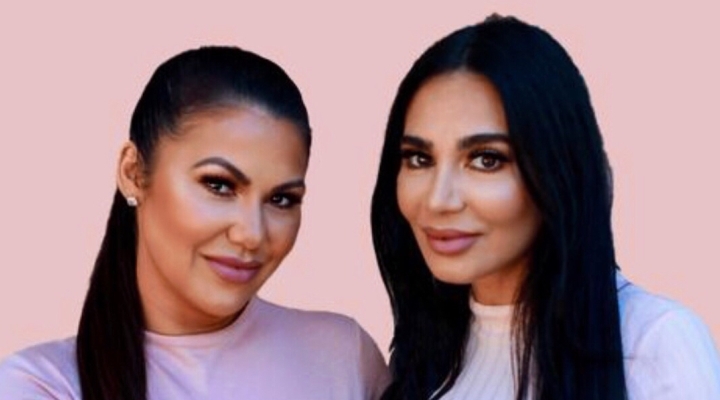 Skin And Senses is a natural skincare brand created by two professional LA-based working moms, Kili Anderson and Roxy Homeidan, who are both longtime friends with years of experience in the beauty and fashion industries. When Kili became pregnant with her daughter, she was astonished to learn that most beauty products she was using had chemicals that could harm her child. An entrepreneur at heart, Kili created her own pregnancy safe stretch mark prevention body butter to keep her skin hydrated and moisturized as her body expanded over the nine months. Once her daughter was born, so was the idea to create Skin and Senses Skincare…products for women (pregnant or not) who refuse to compromise their health over beauty. Skin and Senses Skincare is formulated with all natural, effective, high quality ingredients that their customers can feel confident about. Kili and Roxy created skincare products that are not only high quality, but empowering as well. They named each product with an empowering word and a positive empowering quote to go along with it. As busy, juggling working moms, Kili and Roxy know full well the stress and anxiety that comes with everyday life. Their goal is to empower women to pamper themselves with clean, healthy skincare products, and felt there was also a need in the marketplace to help do-it-all women like themselves soothe some of life’s daily stresses and anxieties. They want their customers to see the positive word and quote every time they use a Skin And Senses product, someone may need that one positive word to change their day around. “Revive,” “Illuminate,” “Conquer,” and “Fearless,” are just some of the names given. Sometimes it simply takes seeing one word or a positive quote to change someone’s mood or day. With Skin and Senses, Kili and Roxy aspire to uplift every one of their customers each time they use one of their products, and to remind them that they are in charge of their own destiny! Skincare and beauty is our passion, we have always been serious skincare junkies, using the most effective, high-quality, skin care available. We both made the switch to natural skincare years ago and we were not impressed with what was available out in the market, so we decided to create our own chemical free skincare brand that was safe and effective. As we age we have become more health conscious in what goes in and on our bodies. We wanted to create highly effective safe products for ourselves and women like us, who wanted to take care of their skin and bodies without harmful chemicals. And of course we want to empower women out there with our positive words and quotes on our labels. As of now, our website SkinandSenses.com is our biggest asset. It’s where we started selling our products. We have also branched out to getting our products in some retail locations. We are now working on wholesale distribution. Our site launched in Dec 2017, and started bringing in consistent sales in March. We started to see profits eight months after starting and we reinvest back into our business. We never doubted our products or our vision. We both came from a business background and know how it is when starting a business, the beginning of any new business is always a period of ironing out the kinks, trying different ideas to see what works. We have definitely gone through those phases, but both being business women and having owned other companies before, we knew to expect that. We’re both very positive people. We knew we just had to weather the storm and keep going. Our first customers came through marketing our brand on social platforms. We are focused on growing all of our social platforms and are Google ranking as well as building relationships with different influencers. Influencers can be a hit or miss, so we really take our time researching different influencers and trying them out. If they work well for us, we continue to build a working relationship with them. We recently started working with TLK FUSION to help us with marketing and more. The toughest decision we’ve made recently was whether to stay with a PR firm that was not working for us or not. It was a total gamble. Staying and paying money for work that was not being done to our expectations with hopes that it would work out eventually, Or cutting ties and moving on to find a company that worked better or us. We love what we do and we do it well. Our products speak for themselves, the emails, feedback, reviews we receive from our customers, reminds us why we started this company. Reading emails on how our products are healing skin conditions and making a difference in ones life, is worth it all. Our success comes from our high quality ingredients and powerful formulations we have created. We are building relationships with our audience and we listen to our customers. Receiving emails/feedback from our customers about how our products have helped them and made a difference in their life’s, puts a smile on our faces and is so satisfying. We are excited to continue to formulate amazing chemical free products and to continue to empower women and spread positive vibes. We have so many amazing ideas on the table that will go through testing. We can’t wait to share them with the world. The possibilities are endless for Skin And Senses, and we are so excited. Roxy: I love reading, the last two books I’ve read were The Power Of Your Subconscious mind by Joseph Murphy and Think And Grow Rich by Napoleon Hill. “Think and Grow Rich” is more than just a book that teaches about getting rich, it’s about the philosophy of thought that can inspire anyone to achieve anything they want in life. Kili: The last book I read was The Power Of Your Subconscious mind by Joseph Murphy, my friend Roxy suggested it. Since I was on a book buying spree, I ended up ordering it. Dr. Murphy explains the mind-focusing techniques that remove the subconscious obstacles that prevent us from achieving the success we want. I learned that Visualization is, by far, the best way to use your subconscious mind. No matter how you choose to meditate, the most important part of the process is to be aware of what you are doing and thinking. I highly recommend this book. I absolutely loved it and also have it on audible, so I can listen to it in my car as well. Advertising and social marketing have been the best purchases for our company, it has helped with Building brand awareness, traffic to our website and build our following n our social platforms. What do you want people to know about your products? We want people to know that they work, and that our products are chemical free, cruelty free, synthetic-free and all natural ingredients.